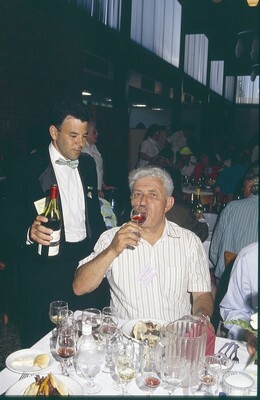 Jean Marie Roumier samples wine at an IPNC wine tasting. Wynja, Doreen, "Jean Marie Roumier, 1992" (1992). IPNC - Archival Photos. Image. Submission 2.